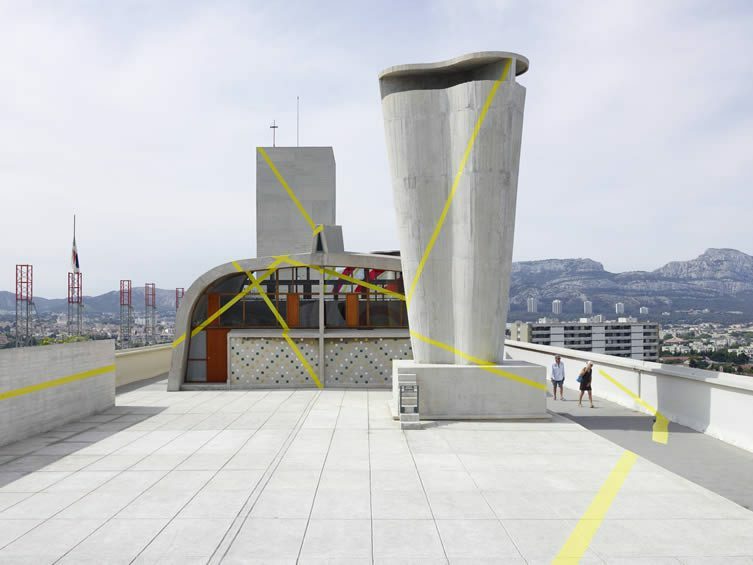 Converting the rooftop of Le Corbusier’s incredible La Cité Radieuse (locally nicknamed La Maison du Fada, or ‘The House of Madness’) to an art institution in 2013, Ora Ito has welcomed esteemed names Xavier Veilhan, Daniel Buren, and Dan Graham to create site-specific works at Marseille’s MAMO — Centre d’Art de la Cité Radieuse; each working their magic around Corbusier’s wild concrete playground. 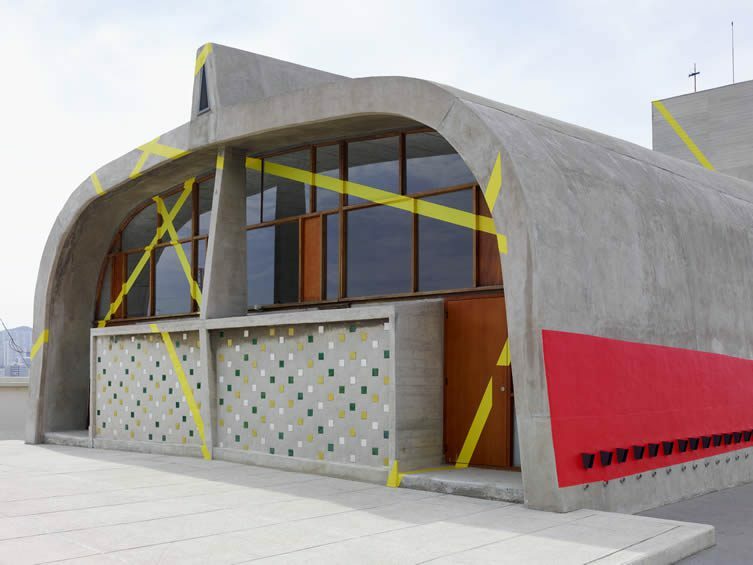 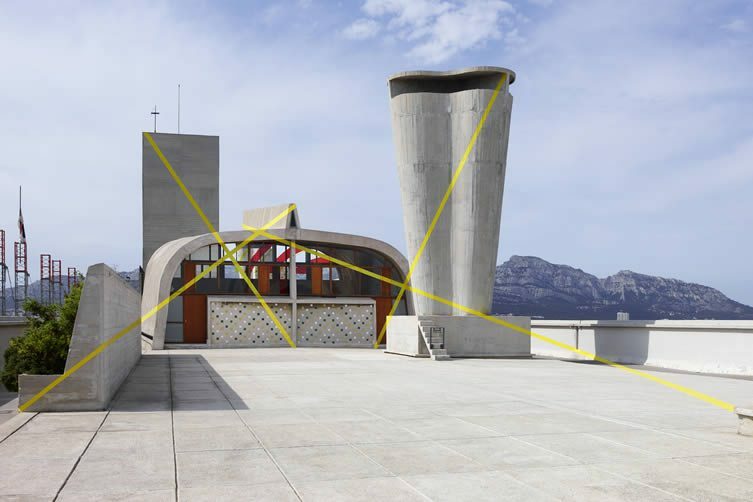 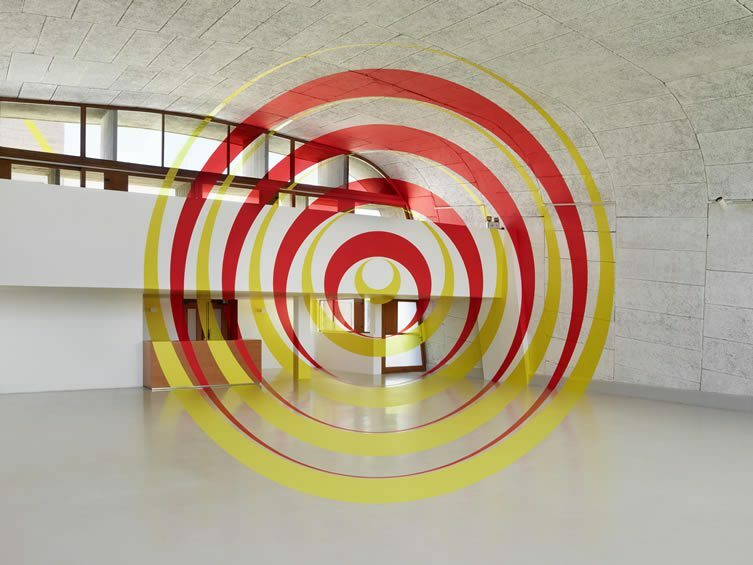 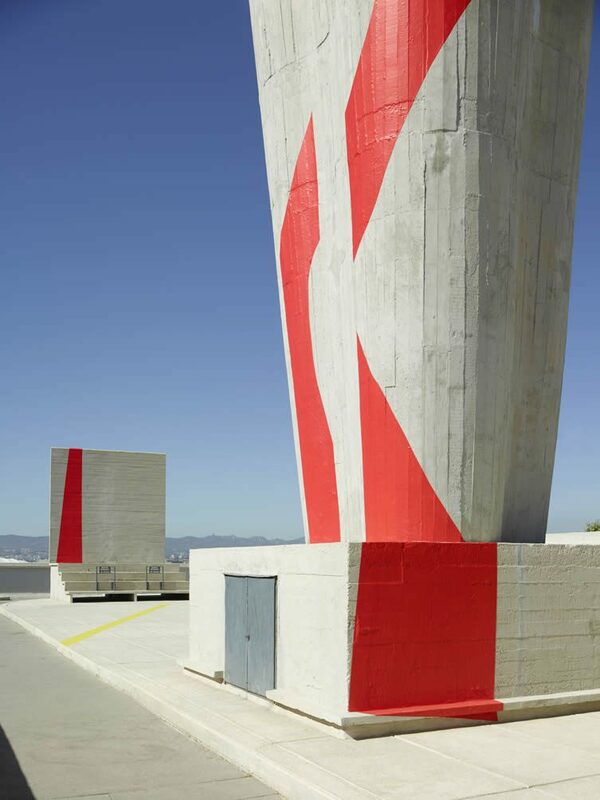 ‘This is the first time that I have exhibited on, in and with architecture designed by Le Corbusier.’ Expresses Swiss ocular botherer Felice Varini, whose turn it is to take over MAMO this summer. 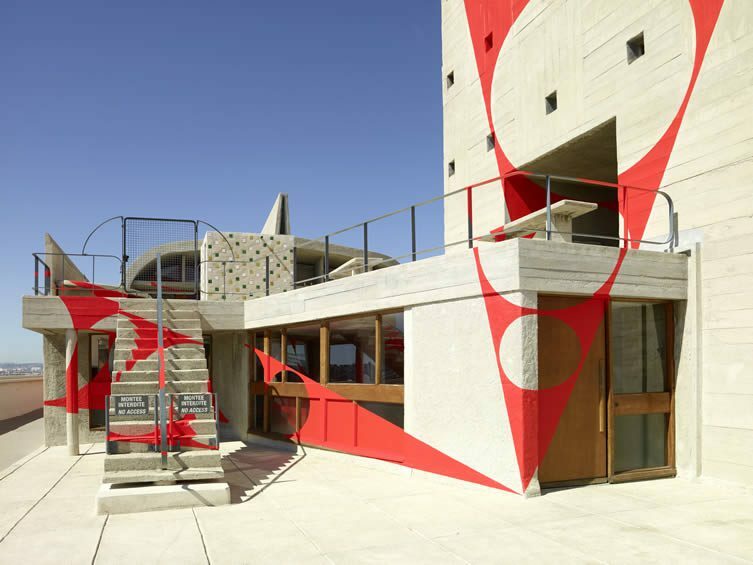 ‘This place is a landmark, a huge influence. 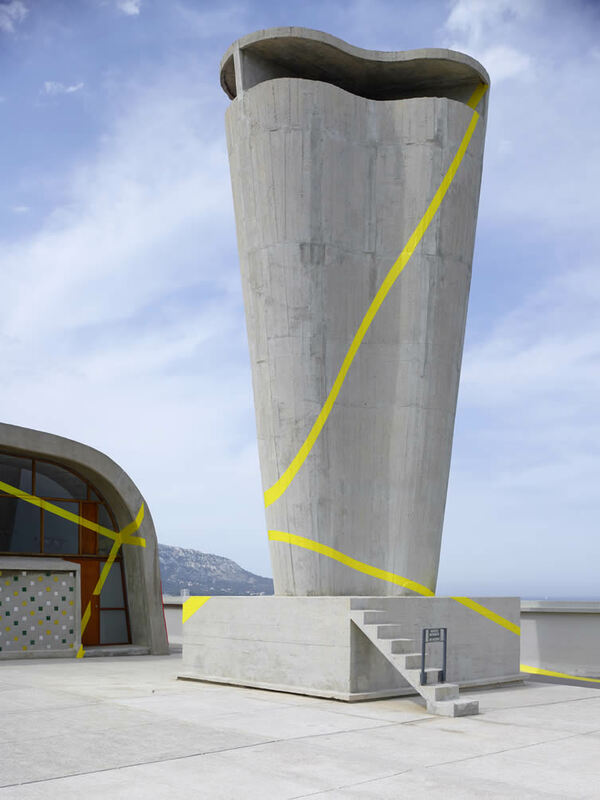 It is a true microcosm, designed as a small city with its range of complex volumes, a small city with a view over the large city of Marseille. 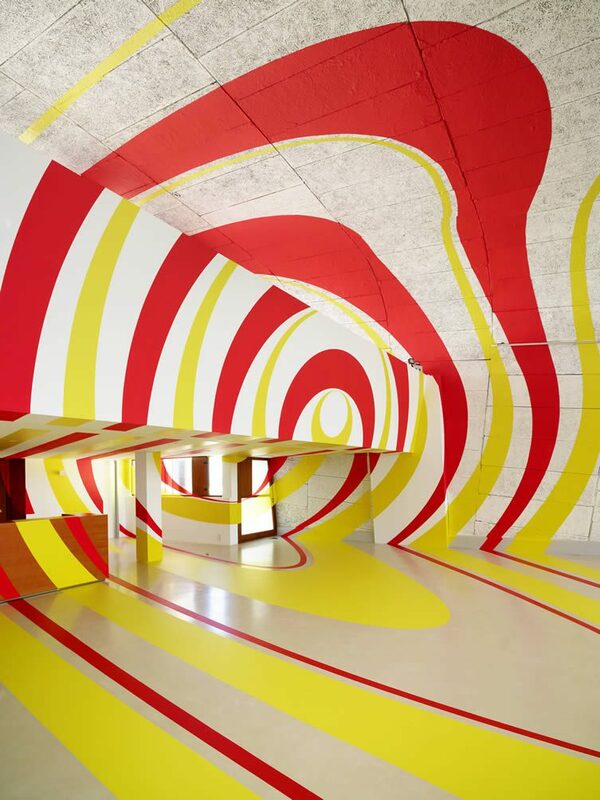 It is extremely exciting.’ And exciting, too, is the work of the Paris-based artist famed for his large-scale geometric optical illusions. 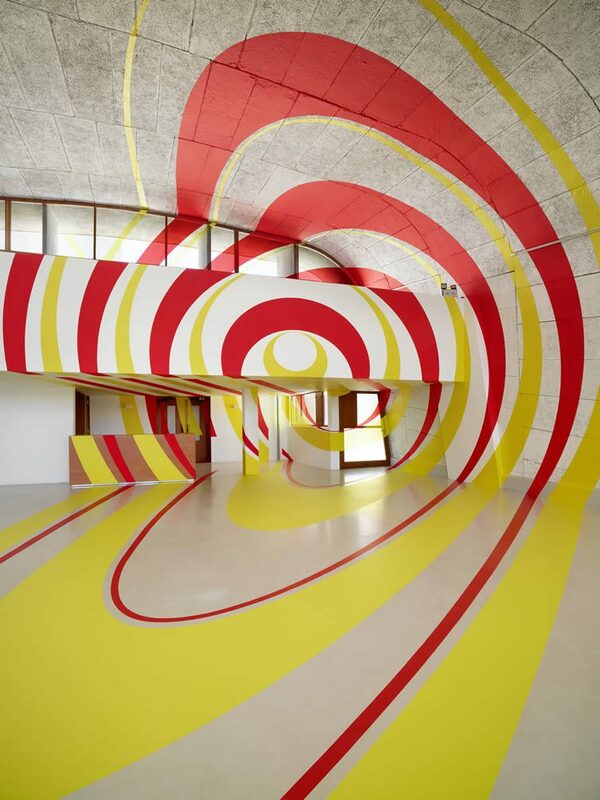 Born in 1952 in Locarno, Switzerland, the revered contemporary artist scours the geography of his site-specific installations, moving himself around amid their architecture and history in pursuit of key viewpoints — a path or spatial transition where his installation will make perfect sense at eye-level. 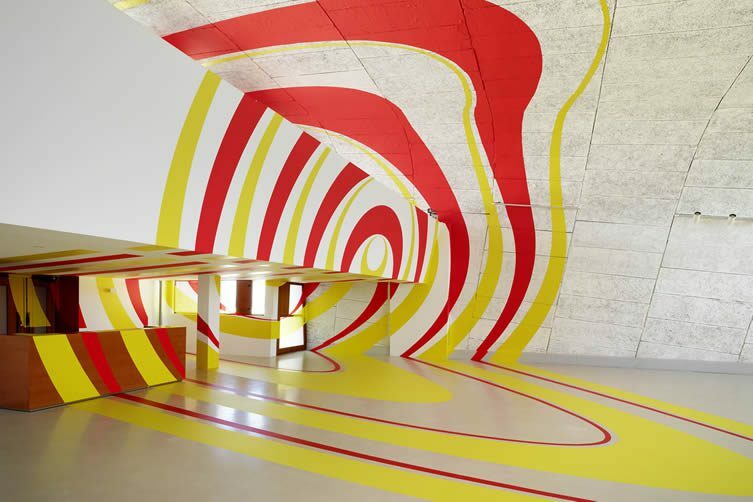 From that point on, his works distort and disfigure; the painstaking process behind his illusions clear through the haze of twisted geometric shapes and colours. 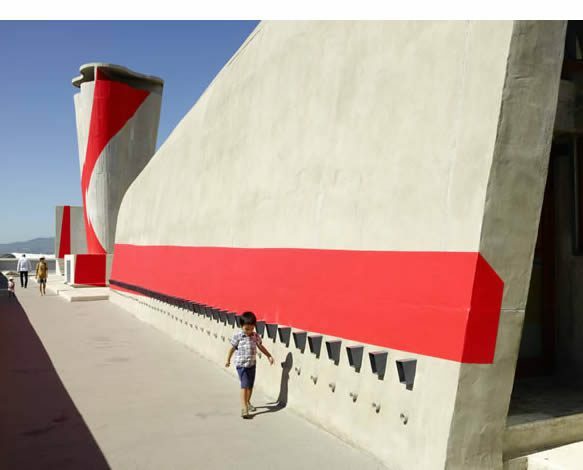 À ciel ouvert occupies MAMO Marseille until 2 October.